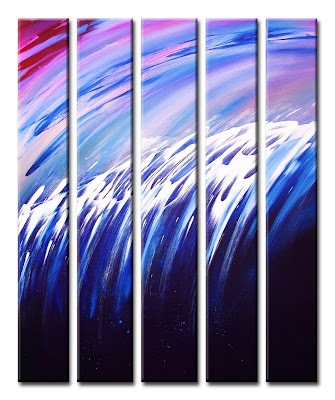 You may buy purchase large art abstracts directly from artist painter Theo Dapore. When buying large art from artist Dapore you are dealing with a professional art studio located in the Wiregrass common mall Dothan, Al. USA. Purchases are promptly send USPS priority mail and insured for the full amount of purchase. Buying art is secure at Studio Dapore's web site www.originalabstractart.net. Credit card purchases are encripted by the Veri-trust company. Buying art via Studio Dapore is quit easy with many payment options, PayPal, Amazon payments. Google checkout, personal checks. You may use all major credit cards with checkouts and have the option to phone in card payments. or many other online galleries that represent Dapore. 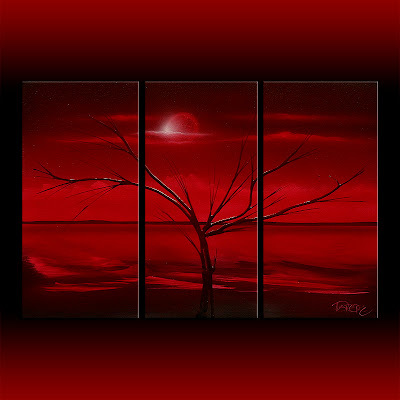 Red abstract by Theo Dapore "Red Sky at Night"
Painting: Deep reds and black .Large sofa size painting. Dapore Art Gallery Contemporary artist--original paintings. Title: Landscape 225 art deco alternating block of color red white. 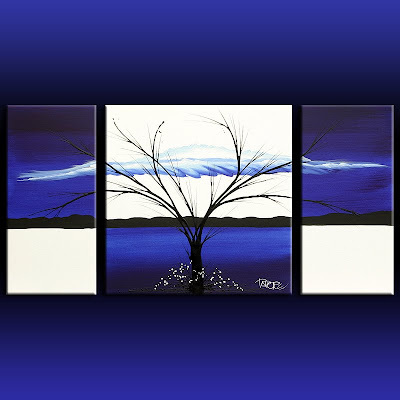 Three canvases one 24 by 24 plus two 12x24 equals 24 high by 48 inches wide. Four feet wide. Includes hardware that connect all three canvas together so they may be hung as one unit. Hanging wire is installed. Paintings are backstapled with painted sides. Top coated with 3 coats of Matt UV varnish. 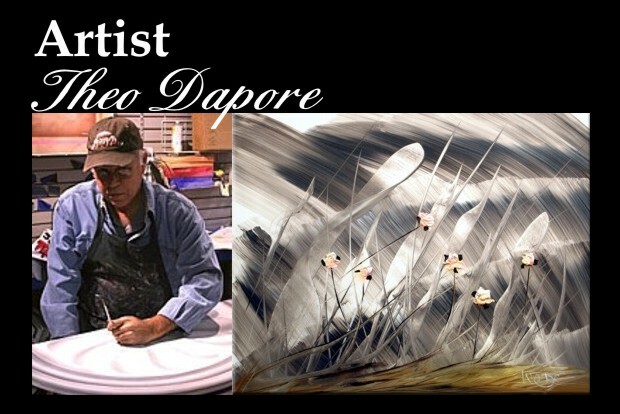 Theo studio Dapoore's modern abstract art is located at the Wiregrass Commons Mall Dothan, Al. When purchasing Dapore art your are buying from a professional studio that offers excellent service and prompt shipping to all his clients. He was listed at AbsoluteArts on the home page under "Artist to Watch". For a two month period. Theo Dapore's official web site. Read interesting articles about the artist experimental techniques used in painting abstract. 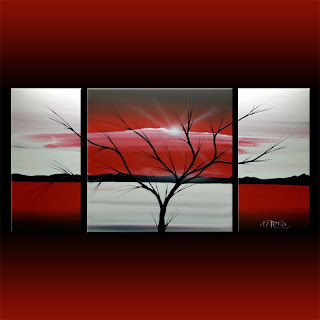 Visit abstract art gallery of previously purchased paintings. Discovery information about special order commissions and photos of hand stretching large format canvas. Where to purchase Theo Dapore abstract paintings. Gallery store offers current original paintings on canvas that are for sale direct from the artist Dapore.